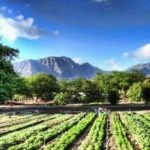 Click on the various resources to learn more about agricultural funding opportunities in Hawai’i. O’ahu RC&D will be extending funding opportunities to assist farmers in the Ka’alaea and Waiahole watersheds to develop conservation plans and implement practices that improve water quality. This will be achieved by developing conservation plans with farmers as well as working with these farmers to install Best Management Practices (BMPs) on the land with possible cost-share assistance. 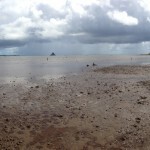 O’ahu RC&D will assist farmers located in the Ma’ili’ili watershed to develop conservation plans and implement practices that improve water quality by reducing total nitrogen, phosphorus and sediment. This will be achieved through extensive outreach, use of best management practices (BMPs) on farms and available cost-share assistance to implement these BMPs. A sub-program of the Conservation Reserve Program, the Conservation Reserve Enhancement Program (CREP) is a state-federal multi-year land retirement United States Department of Agriculture (USDA) program developed by states and targeted to specific state and nationally significant water quality, soil erosion, and wildlife habitat problems. Presentation on CREP funding opportunities found here. The Farm Service Agency (FSA) administers farm commodity, crop insurance, credit, environmental, conservation, and emergency assistance programs for farmers and ranchers. Presentation on FSA funding opportunities found here. NRCS provides America’s farmers and ranchers with financial and technical assistance to voluntarily put conservation on the ground, not only helping the environment but farming operations, too.